Count on precise cuts with the RT-200 12" Porfessional Rotary Trimmer. 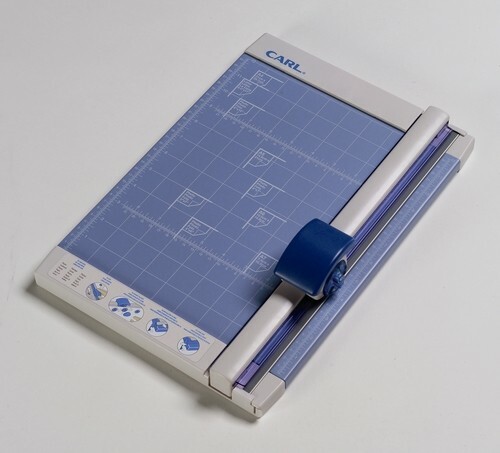 The premium carbide blade cuts up to 10 sheets of 20lb paper. Patented rail system holds paper firmly. Updated graphics, rulers and grid. Cuts mat board, card stock, plastic sheets, etc. Limited Lifetime Warranty (excludes blade and cutting mats).